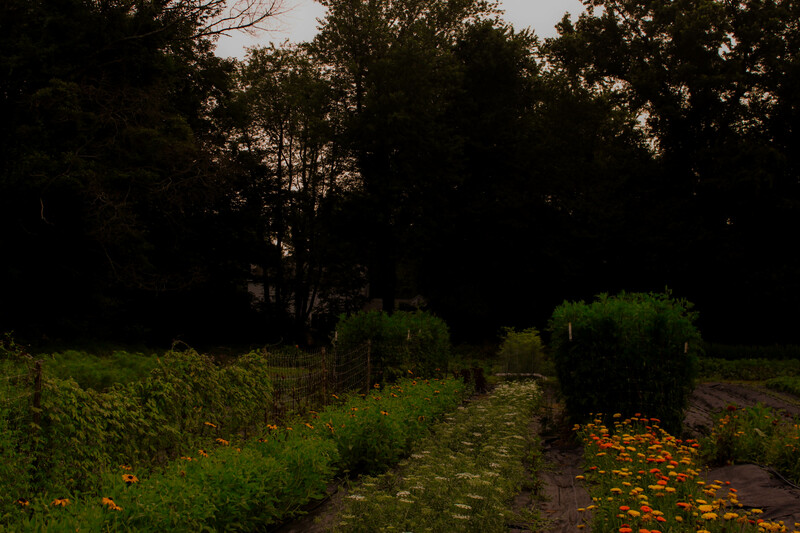 For the first week of Learn the Flowers CSA the field was abundant with pods, greens, and blooms. 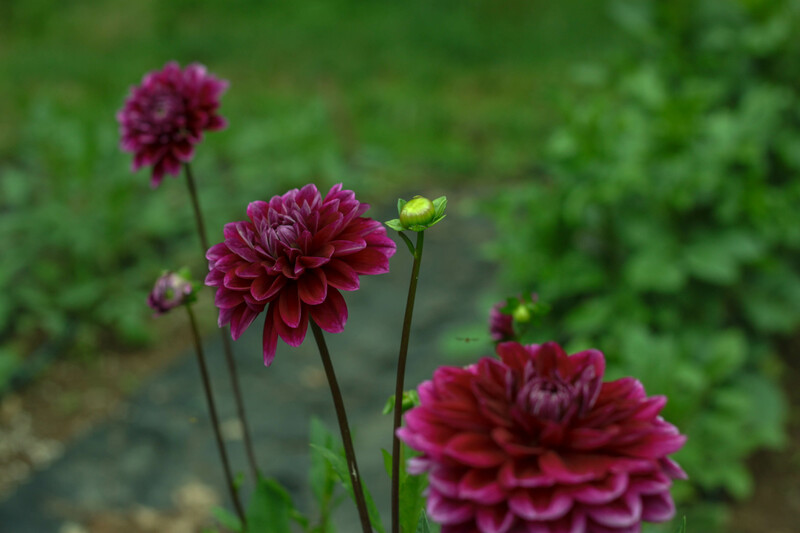 Many of the flowers that were abundant in the spring days of May and June are tapering off and the colors of those most tolerant of July and August heat are beginning to bloom now. During this transition we benefit from the perennials whose seed pods and foliage add varied texture and form to our bouquets. 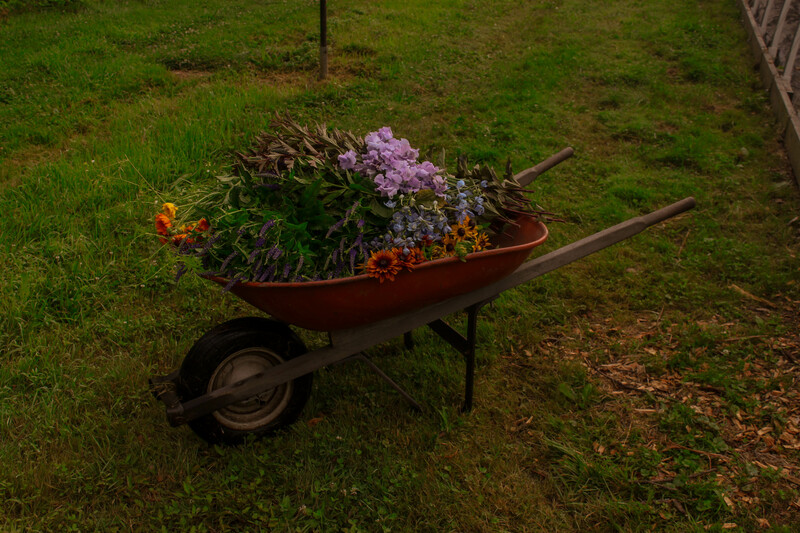 As I walked through our field of annuals early this morning, I was happy to see what things would make their way in to your CSA bouquets this week and excited for what is yet to come! Sweetpea flowers- The sweet smelling, delicate, purple stems of magic. This was a growing experiment for me this summer and I’ve been able to harvest them in small waves. This week, the Germantown site pick-up folks got to take a few stems home and next week, Wild Fox Farm folks will be able to take some home. Poppy pods are pretty popular to use in both dried and fresh flower arrangements. 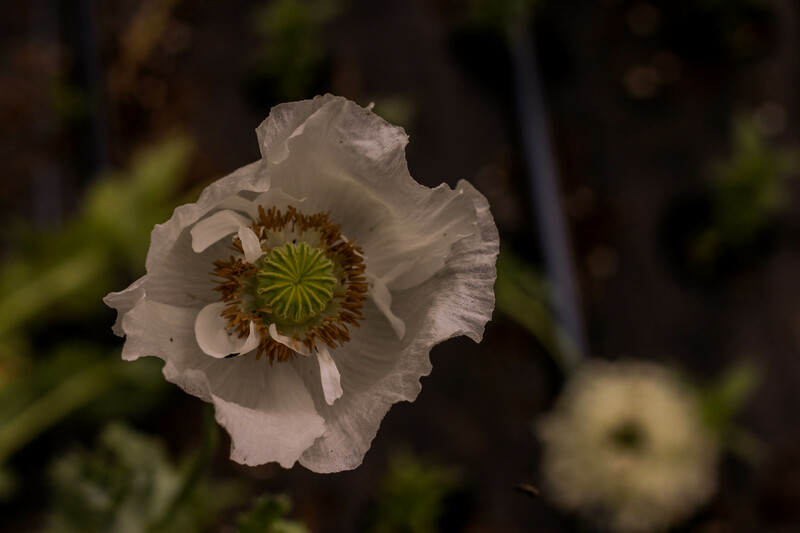 Historically, they’re also pretty popular to get high off of since Opium Poppies (Papaver Somniferum) contain ingredients such as Codeine and Morphine. We don’t grow that variety! We also grew a couple other varieties this spring including the Pom Pom Poppy, the Falling in Love Poppy and the Hummingbird Poppy. The Poppy is such a special locally-grown bloom because they really don’t ship well. So if you’re in the market for some Poppies, definitely seek out a local grower. I was introduced to Love-in-a-puff vine last fall when I visited a flower farm in upstate New York. She was able to start her vine by seeding directly into the ground in the spring. We decided to start seeds in the greenhouse and move them outside so they could get established a little earlier. 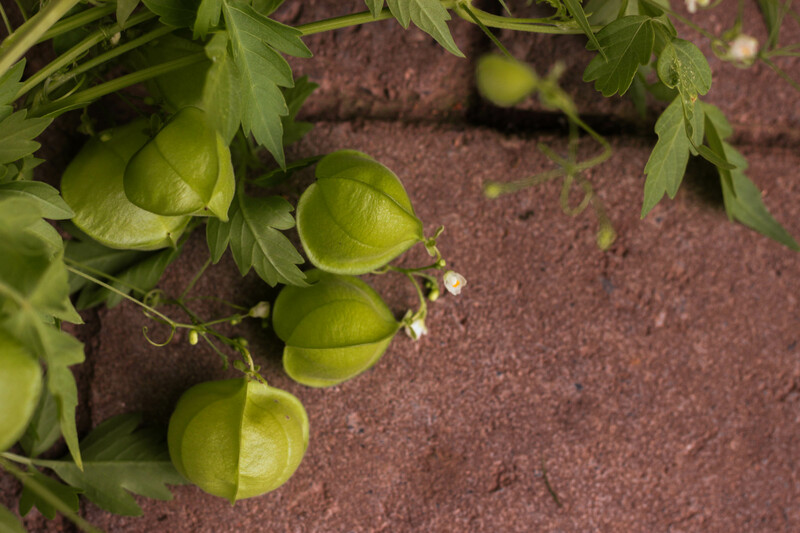 The vine is also called Balloon Vine or Heartseed. Not all of the puffs on your vines are larger, but if you have a large puff, go ahead and break it open and you’ll see three small black seeds. It’s namesake comes from the tiny, white distinctively-shaped heart on each seed! Unfortunately in many southern states where Love-in-a-puff survives as a perennial, it is considered an invasive weed. Around here though, it’s considered an awesome vine that grows well for flower farmers, works beautifully for floral designers, and then is killed off in the wintertime. 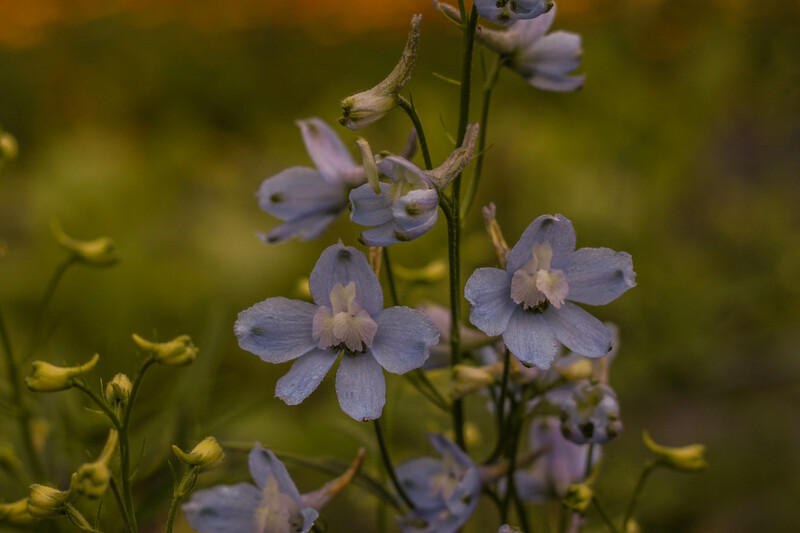 Lastly, our Delphinium (or Larkspur) is something magic to behold. This season was the first season I grew it successfully and when it first came into bloom last week, I got a little choked up. In the world of flower growing, there are so few true blue flowers that one small bed of blue, blooming Delphinium is really magical to see! What I love about this flower is that because it has so many delicate-looking blooms on a very sturdy stem. The sturdiness of stems is definitely a quality I look for in my most favored flowers to grow and use for in design! The blue Delphinium in your bouquet is a medium height variety which I like in particular over the tall, stalky Delphinium. (which you might be used to seeing more often when you pass a perennial garden in the park or in someone’s yard) This variety has a more flexible stem and drapes beautifully in arrangements as opposed to the very tall and straight stem of Pacific Hybrid varieties. The seeds of Delphinium are toxic and shouldn’t be ingested. 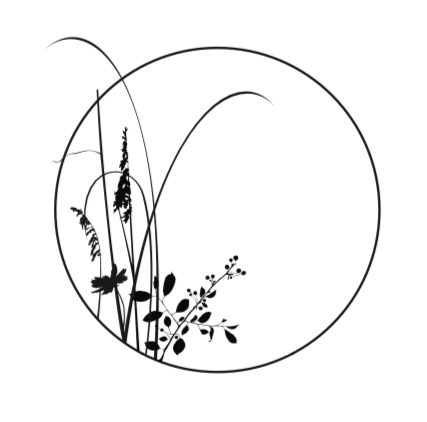 The toxicity of the plant decreases as it ages. So if you want to have some Delphinium in your garden and happen to have a dog like Boone who will put anything in his mouth once, make sure it’s out of reach of munchers for the beginning stages of its life! The namesake of Delphinium, dolphin in Latin, derives from the tall cone-shaped (or fin-shaped?) sepal at the top of each flower head. The combination of the blue color also seems like it could be related to the gray-blue color of some dolphins. Maybe that’s a stretch. What you should remember is that Delphinium is magic.